19gramgallery came about from my desire slow down and pull back on the digital train. I’ve found we have some of our best moments in nature and we’re only ever posting them on digital feeds. I don’t want to see those memories get lost among a stream of many and for us to become digitally disconnected from them. I believe the truly good stuff in life is tangible and it’s worth holding onto, literally. And so I found myself slowing right down to capture those moments on tiny canvases. 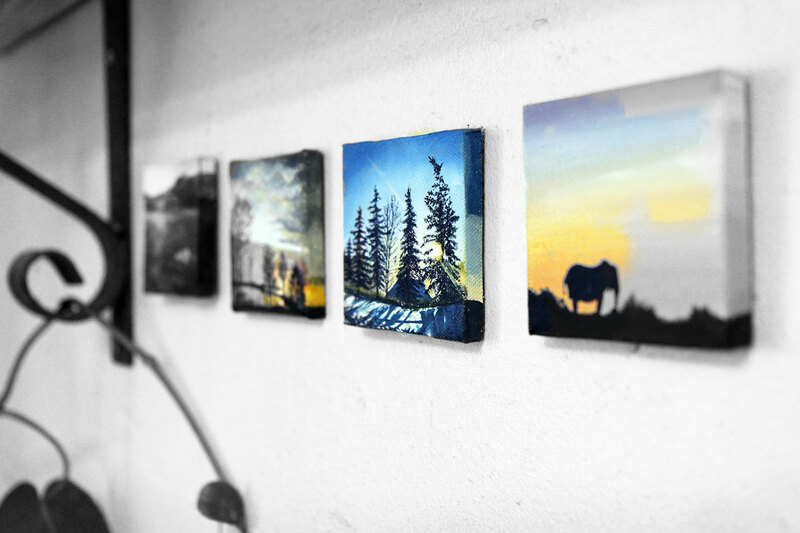 These miniature paintings weigh about 19 grams and make for one-of-a-kind gifts and unique travel keepsakes. Head on over to 19gramgallery to see more of these little things come to life or to order a custom painted gift.